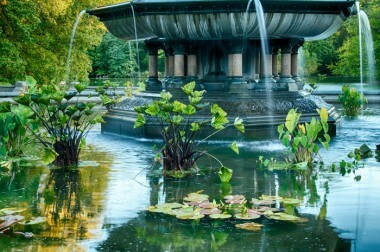 The Bethesda Fountain at the Terrace Pool in Central Park commemorates the Croton Aqueduct which first brought fresh water to NYC in 1842 after cholera outbreaks; the name referencing the healing powers of the Pool of Bethesda in biblical times. The water lilies are a symbol for water’s purity. 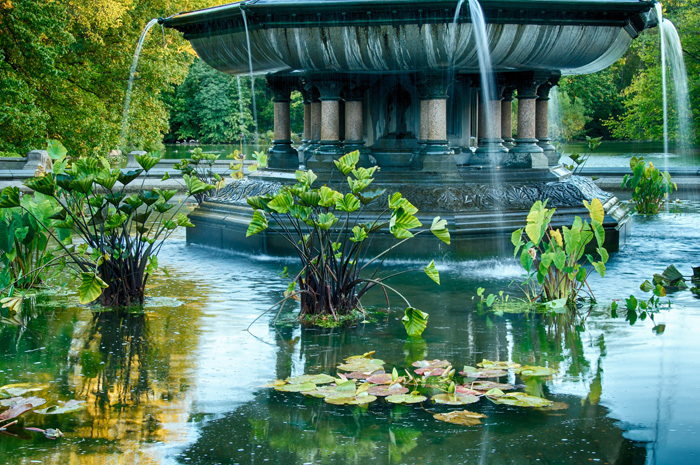 This impression catches early morning light activating life-promoting green leaves and the refreshing water flowing signaling the renewal of new day.